Nintendo said that over 63 million Wii Remotes have been sold in the United States, shattering the stereotype of gamers playing alone in the basement. When the Holiday season begins, Nintendo's competitors will both have entered the motion control game, with Sony's Move coming out this past September and Microsoft's Kinect dropping Nov. 4th. In an effort to grab some positive press for its 4-year old console, Nintendo wanted to impress us with some numbers to say that it has been doing something right this whole time. The 65.3 million Wii Remotes sold translates to an average of 46,000 Wii Remotes purchased every day since the Wii launched in 2006. That's pretty impressive, given that only about 30 million of those controllers were bundled with the actual Wii console. Nintendo says that means that a lot of gamers play the Wii with other people. "This demonstrates that Wii owners like to play and they like to play together. They're not the stereotypical gamers playing alone in their parents' basement," the release from Nintendo stated. 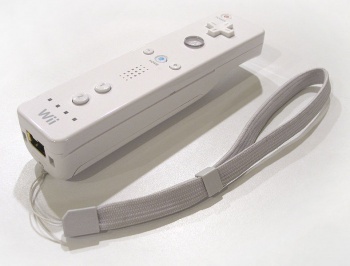 Nintendo also mentioned that as of November 7th, the "standard" Wii controller will be the Wii Remote Plus which includes the Wii Motion Plus technology within the controller itself. The new controller will be bundled with all Wii console sales from that date on, but you can also buy it separately for $39.99. It's not really a fair comparison, but I wonder if, in four years, Sony or Microsoft will be able to boast that their motion systems sold as well. My bet is no.